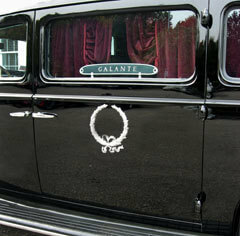 Galante funeral homes specialize in providing personalized services to meet the wishes of each and every family. This service includes the services of funeral director and staff, embalming, dressing, casketing and cosmetizing of deceased. Funeral home viewing hours and funeral service at the funeral home or a church of your choice. 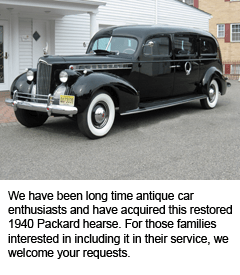 Vehicle transportation, memorial cards, memorial register book and acknowledgement cards. To further personalize your service you may like to display photos or other personal items during the visitation hours. We can provide complete cremation services, including cremation with viewing hours that incorporate aspects of traditional services. Abbreviated or immediate services are also available. For more information on Cremation options, click here. A personalized memorial service can be held in our funeral home, chapel or at a location of your choice. We can assist in setting up small, private family services or larger community gatherings of remembrance. A graveside service can be held at a cemetery with a clergy member or lay spokesman. We specialize in all aspects of pre-arrangements and pre-planning funerals. Pre-need counseling and arrangements are available with no monetary obligation. Pricing information is available. Our funeral home can provide the services of a “Certified Funeral Celebrant” trained to conduct a funeral tribute that reflects the personal uniqueness of the deceased. This service is an ideal option for those not affiliated with a church or do not wish to have a religious funeral service. We can handle burial arrangements in all parts of the world. Out of town funerals may be planned from our funeral home to be carried out according to your wishes. The comfort level and familiarity established between ourselves and our longtime friends can continue. Visitation and complete funeral services may be arranged through us and held at another funeral home facility.